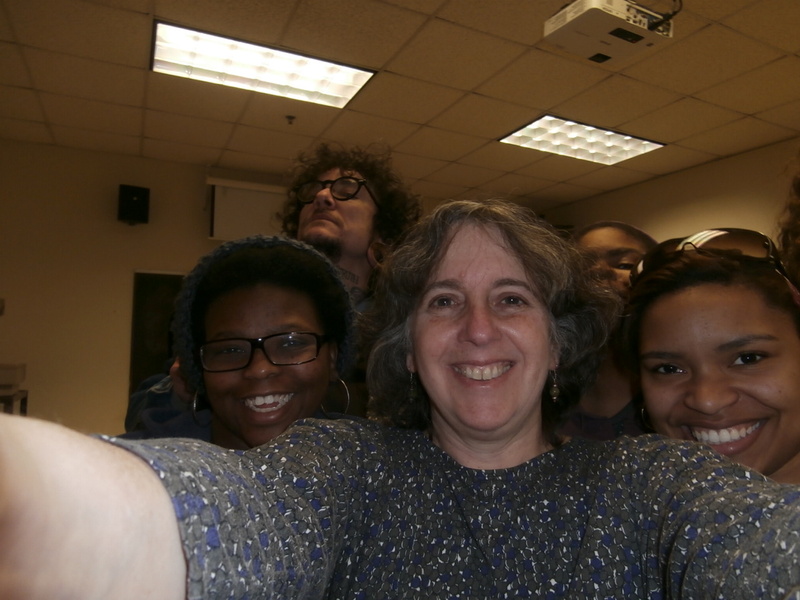 In my non-writing life, I’m a teacher at Community College of Philadelphia where our work is heading to a true climax of white-hot intensity. My three groups of students are reading three challenging novels that draw together themes we’ve discussed all semester; I just finished designing a brochure for our summer and fall Literature and Creative Writing courses; our first substantial crop of English Majors will graduate this May and I’m helping to organize a celebration; meanwhile, I’m working with our Faculty Council to reform our broken academic advising system, preparing to lead a panel at the Associated Writers and Writing Programs conference called “Creative Writing as Job Training”, and – of course—getting ready for our massive and irreverent Zelitch family Passover Seder at the end of this week. All of this is just to say that, yes, I’ve been keeping an eye on Waveland’s Indigogo campaign, but haven’t had a chance to check in and acknowledge the many people who have donated. I’m hoping I get a chance to thank you personally at a celebration soon after Waveland’s publication date. One of the Indigogo “perks” involves a book party, and if things continue to go well, we can hold it in a location big enough to accommodate the many people who have helped make this book possible. As you might have heard, your generosity has already made it possible for me to pitch Waveland at the Jewish Book Council’s networking event in late May, a miraculous development which will bring the novel to the attention of Jewish organizations across the country. I will have two minutes to make the case for the book. I have been told: don’t read a passage, don’t give information that is already in your application, and essentially prove that you can hold people’s attention. “Where the Boys Are”: Note the two posers and the serious girl reading. A beatnik looks on from under his hipster fedora. 1. 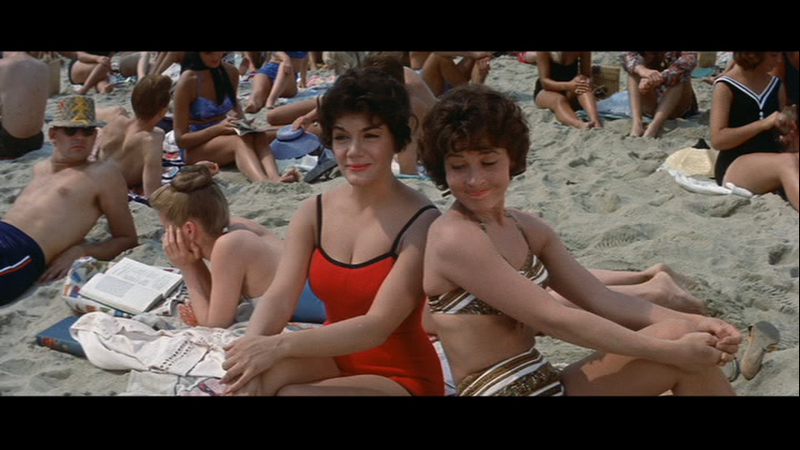 Should I tell the truth about Waveland’s origins, that I was watching “Where the Boys Are” (1960) and around the same time read about Spring Break “wade-ins” to integrate Florida beaches? What if a misfit college girl trapped in a silly story stumbled upon something real? 2. Should I bring a guitar on stage and sing “Wade in the Water”? Well, that would get their attention. Plus, I could pretend I’m Connie Francis in “Where the Boys Are.” (Or more realistically, the beatnik sidekick). 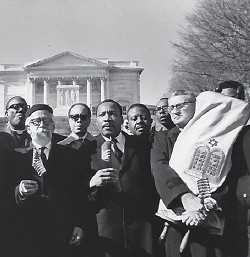 Then, of course, I’d talk about Jews in the Civil Rights Movement, the easy assumptions and the more complicated story of the relationships between Jews and African Americans that changed over time. 4. Should I talk about something very exciting that happened just last week? For the first time, I got to meet three of the four Jewish Civil Rights Vets who were in town for the Open Hillel tour: Larry Rubin, Mark Levy and Ira Grupper. They were amazingly generous with their time, talked about the intersection of their Civil Rights work and their Jewish identity. I’ll write more about that later, but for now, I’ll just say that I initially felt a little like a stalker, but once we met, the conversations could have gone on and on, and they left with advance copies of Waveland. One thing is clear: if it weren’t for The Head and the Hand’s faith in my work and your own generosity, I wouldn’t have a chance to say anything at all. Thank you, supporters. Watch for word on the party, and mark your calendars. Waveland will be officially launched at the Free Library on Monday, May 18th.